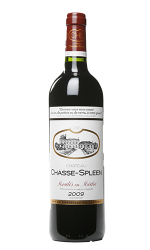 Produced from 90 hectares of vines, Chateau Chasse-Spleen is a Cru bourgeois from the Moulis-en-Medoc appellation. Founded by Mr. Gressier in 1720, it was not until 1820 that the property gained its nickname and later definitive name. The castle wine was “perfect to chase the spleen.” The terroir is typical of the Medoc with gravel, clay, and limestone soil. The vineyard has both Cabernet Sauvignon and Merlot grape varieties. 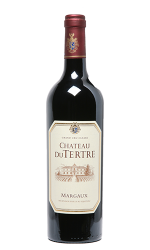 Chateau du Tertre is a 5th Classified Growth with 52 hectares of Cabernet Sauvignon, Merlot, Cabernet Franc and Petit Verdot planted in the Margaux appellation. The Dutch businessman, Eric Albada Jelgersma, has been the owner since 1997. The terroir is very typical of the Margaux appellation, with its gravel-based soil. The numerous investments made to modernise the wine making techniques have made it possible to produce the great wines of Chateau Du Tertre, a true ambassador of this exceptional terroir. 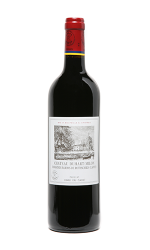 The rich history of Chateau Duhart-Milon goes back to the early 18th century when the wines of Milon were used in the composition of Chateau Lafite’s second wines. The property earned its name from the terroir of Milon and Madame Duhart, a widow. Duhart belonged to the Casteja family, who profited from the succession. Duhart and her family recuperated the Mandavy vineyard. 4th Classified Growth, Duhart-Milon is spread over 76 hectares with Cabernet Sauvignon (67%) and Merlot (33%) planted on gravel and a limestone sub-soil. The mixture of traditional vinification techniques and modern installations is what allows Duhart-Milon to live up to its rich history. Every day you can find the list of wines that are available for sale as soon as they are released on our blog. Thanks to this daily summary, you can be sure not to miss any releases from the exceptional En Primeurs 2016 campaign. You also have the opportunity to sign up for our Future alerts and be notified via SMS or E-mail. Follow us on Facebook or Twitter for real-time updates. Vernon is the Digital Marketing Assistant for Millésima and the social media and content production for our Anglophone areas (Hong Kong, Ireland, Singapore, UK & USA). He is completing his MBA in Wine Marketing & Management at the INSEEC business school in Bordeaux, France.